Why Amateur Radio in the Classroom? Amateur Radio has long been fertile ground for gaining knowledge and skill with electronics technology, as well as for hands-on experimentation and application of technology. 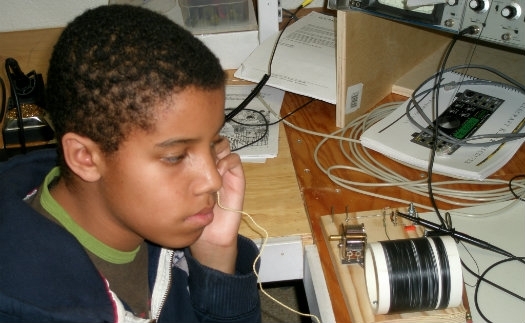 Using Amateur Radio in the classroom is a proven and effective way to teach both fact and theory and align with state and national learning objectives-- in STEM curricula-- as well as other content areas. ARRL's Education & Technology Program, provides resources and training to help teachers learn how basic electronics and radio science is applied in today's technologies, and how to bring this knowledge to their students. An overarching goal of the Program is wireless technology literacy, for teachers and students. For more insight, see "Amateur Radio in the STEM Classroom", published in Tech Directions, April 2016. Amateur Radio is communication via a variety of methods across social, political, cultural, geographic and physical handicap boundaries. 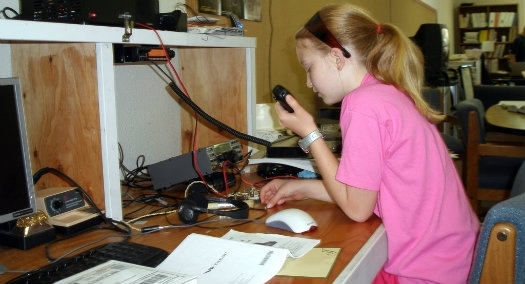 Amateur Radio integrates math, science, geography, reading and writing. Amateur Radio encourages hands-on investigation and experimentation as a basis for understanding technical subjects. 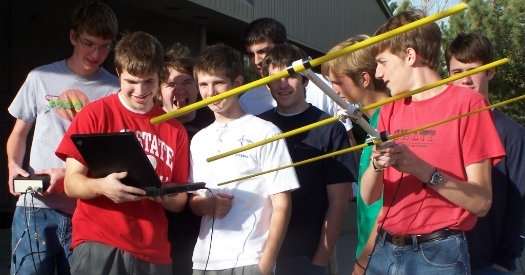 Amateur Radio experiences are a motivating influence for many careers in computer sciences, consumer electronics, broadcast engineering, research sciences, medicine, telecommunications and more! Amateur Radio also enriches the lives of thousands of people as a way to meet and make friends, have fun and pursue a path of lifelong learning. Amateur Radio on the International Space Station (ARISS) provides the opportunity for students and licensed radio amateurs all around the world to talk directly to astronauts aboard the ISS! What is Wireless Technology Literacy? Here's how ARRL's ETP defines our educational objectives. Register to receive our e-newletter with current classroom news.